Kent Anson is the Chief Executive Officer of Premier Alliance Group, Inc. Premier is a leading provider of Cyber Security, Energy and Business Performance Solutions. He has led Premier since January 2014, and reports to the Premier Alliance Board of Directors. A 30-year veteran, Anson brings a wealth of experience to this role having held previous roles with Honeywell from 2002-2014, Munters Corporation from 1999-2002 & GE from 1984 -1999. While at Honeywell his tenure was highlighted by roles including President of Honeywell DMC, LLC, General Manager of Honeywell Infrastructure Design & Support, VP & GM of Global Energy, VP of Higher Education and Director of Complex Projects. 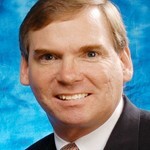 Prior to joining Honeywell, Kent worked for GE and Munters Corporation in a variety of positions in General Management, Sales Management, Marketing and Business Development. He is also a past Board member of the National Association of Energy Services Companies (NAESCO), Demand Response and Smart Grid Coalition (DRSG), and IBM Green Sigma. Kent earned an undergraduate degree in Marketing & Economics from the University of South Carolina and a MBA from the University of Bridgeport. He is married with three children. He enjoys basketball, skiing and golf.